On February 7th 2008, U.S. space shuttle Atlantis launched from the Kennedy Space Center in Florida, USA, on its historic STS-122 mission. Its cargo: the European Columbus space laboratory developed and constructed by Airbus on behalf of the European Space Agency (ESA). Columbus was put into operation on February 11th 2008. Since then, Europe has had its own outpost in Space, offering scientists from all over the world one of the most fascinating research locations possible. 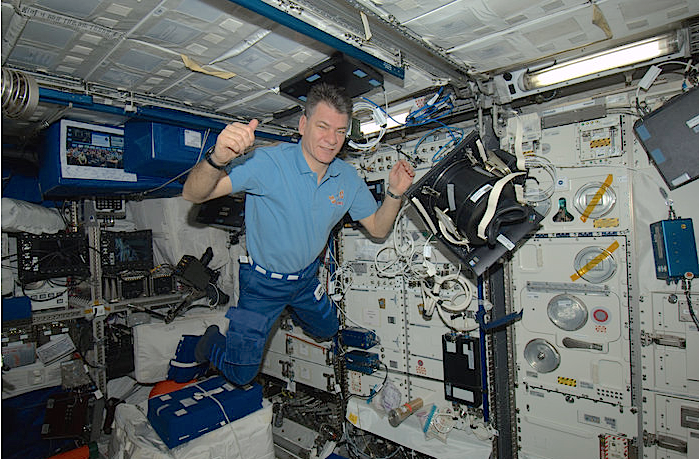 For 10 years, Europe’s Columbus space laboratory, built by Airbus, has been a permanent module of the International Space Station, and has provided a dependable research environment for around 1,800 scientific experiments. Airbus also built the life support system of the Columbus module, and continues to supply numerous experiments and associated racks. The Columbus space laboratory is Europe’s largest single contribution to the International Space Station. The module, 6.90 meters long, 4.5 meters wide and a launch mass of 12.8 tonnes, which includes the 2.5-tonne payload, is equipped with 16 flexible, high-performance experiment racks. Up to three astronauts can work aboard Columbus at once. The experiment racks are usually used for multidisciplinary research projects in areas such as human physiology and life science, space medicine, material sciences, liquid and solid state physics and plasma research. There is also a platform or ‘balcony’ attached to the outside of the laboratory module, which also hosts equipment and experiments, such as for Earth observation, tests of space technology and research on cosmic radiation. As prime contractor for ESA, Airbus oversaw a large consortium of companies from 10 European nations to develop and build Columbus. A total of €880 million was invested in the course of the development program. The Columbus control center is located in Oberpfaffenhofen, Germany, and is operated by the German Aerospace Research Centre (DLR). 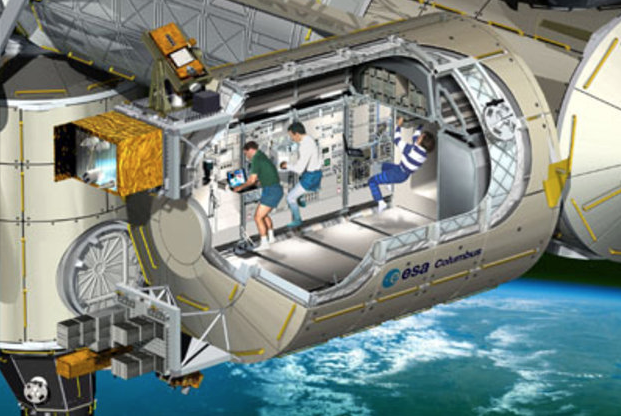 The design of the Columbus module is based on the experience that Airbus gained in developing and building Spacelab, the space laboratory in the late 1970s. In all, 22 Spacelab missions were flown aboard the space shuttle until 1998. The ISS, with Columbus, orbits the Earth at an average altitude of 340 kilometers roughly once every 90 minutes, completing 16 orbits in 24 hours. Since Columbus’ commissioning on 11 February 2008 until 11 February 2018, the ISS has been in orbit for 3,654 days – meaning that Columbus has circled the globe 58,464 times. Airbus has been carrying out industrial operating activities for the European ISS components for nearly 10 years on behalf of ESA. These services include maintenance, spare-parts procurement and the logistics required for the European elements of the space station, that are also needed to keep the Columbus space laboratory operating. But these activities also include developments to improve the functionality of the laboratory, as well as supporting scientists in developing new experiment racks. The contract also covers data transfers, the communications systems and the maintenance of ground stations.